01/05/19 - In just one month, the Midcoast Recovery Coalition raised the funds needed to purchase a residence in Camden, with the hope of turning the home into a place for women who are recovering from addiction. 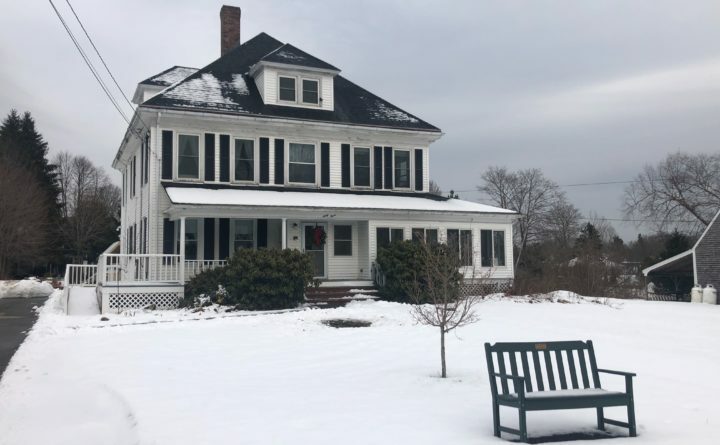 The Midcoast Recovery Coalition closed last week on a former assisted living home in Camden with plans to turn the property into a recovery residence for women struggling with addiction. The $160,000 purchase became official Jan. 17, after a speedy burst of donations in December allowed the nonprofit organization to raise enough money to buy the Washington Street building, which had been a senior living facility since 1898. While it originally only housed women, in the 1980s the home opened to men as well. The Midcoast Recovery Coalition works with people who are struggling with substance use disorder and currently operates a recovery residence for men in Rockland, which opened last summer. The home in Camden will be for women — and their children — who need a safe and substance-free living environment while they are working on their recovery. The Midcoast Recovery Coalition hopes to open the residence this summer with space for six women and three children. On Thursday, a public meeting will be held from 6 to 8 p.m. at the Chestnut Street Baptist Church in Camden to discuss the Washington Street project. This is the third meeting the coalition has hosted since pursuing the Camden home, according to executive director Ira Mandel. While some Camden residents have voiced concerns about the project, Mandel said the immediate neighbors on Washington Street have been “very positive,” expressing interest in helping continue the community garden that is located on the property.